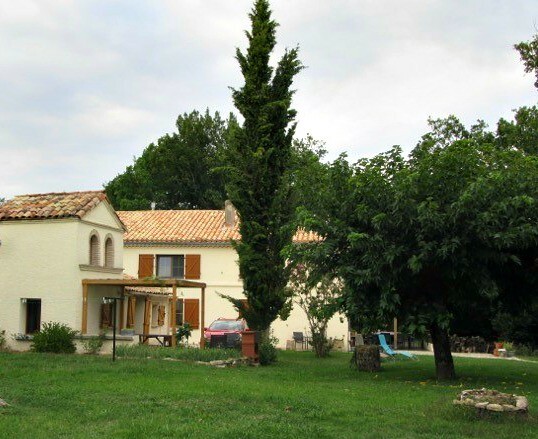 The unspoiled setting of the French countryside surrounding Monclar De Quercy is breathtaking. Illustrated by landscapes of sheer beauty emerging as picture postcard images, the natural surroundings of the Midi Pyrenees, boast grand mountains, lush valleys and flowing rivers. Occitanie / Midi Pyrenees, is the largest region in France, the capital being Toulouse. One hour north of Toulouse is the small town of Monclar De Quercy. It’s neighbouring historical towns, Montauban, Gaillac and Albi are great tourist destinations, showcasing traditional architecture and French style. If you ever get the chance to discover this amazing region, I would highly recommend staying at La Forestière. 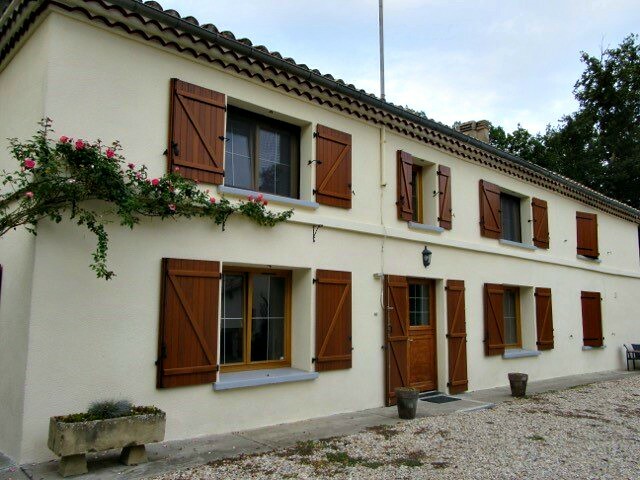 A Bed &Breakfast and self-catered holiday accommodation (Gîte), owned and managed by husband and wife team, Monique and Frédéric. The property features three modern double suites and a separate villa with cooking facilities. 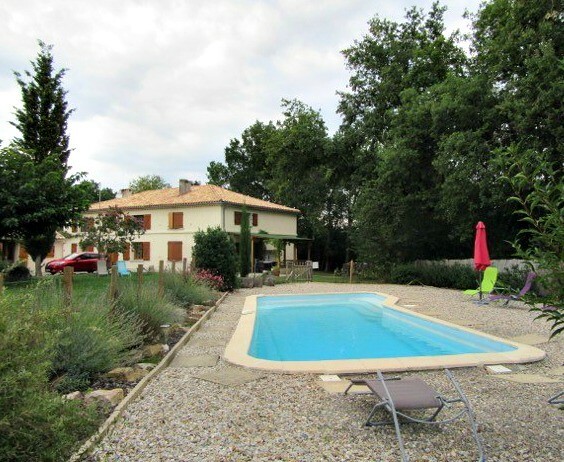 La Forestière has a fully fenced pool for guests, trampoline (great for kids), volleyball net and beautiful gardens. All stays include a light home cooked breakfast. 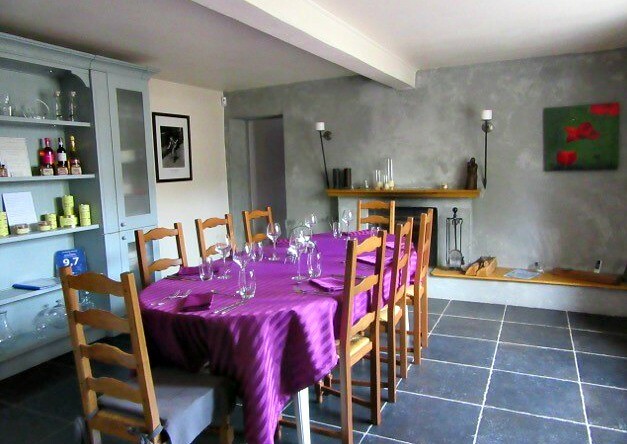 A three-course dinner with local wine can also be organised and prepared by Monique herself, at a reasonable cost. The food is all locally produced and sourced. Monique is a fabulous cook and I would definitely suggest you treat yourself to her home cooked French specialties. Meals are eaten together with the other guests, promoting social connections with fellow travellers. On warmer evenings, eating outside together under the vine draped patio, surrounded by the French countryside is an experience to remember. When visiting this region of France a few years ago, our itinerary included travelling from Paris to Barcelona, which was quite a distance, so we broke our journey and stayed two nights with Monique and Frédéric. We had planned a day trip to the holy city of Lourdes whilst staying at La Forestière. I remember being asked by our gracious hosts, why we were going to drive two hours each way to Lourdes, when instead we could explore the nearby towns, local markets and the beautiful lakes of Monclar De Quercy. At that stage of our journey we were limited with time and visiting Lourdes was a higher priority. Therefore, restricting the opportunity to explore beyond. However, bypassing these neighbouring towns, leaves me with a strong desire to return to the genuine and hospitable La Forestière once again. Hence, enabling me to discover in more depth the beauty and magic of the Midi -Pyrenees region of France. 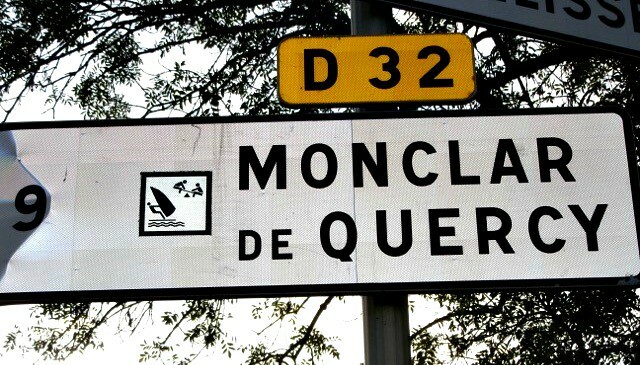 There will always be a next time…..
Want to discover more about Monclar De Quercy? Click here. This sounds like such a fun experience! And the landscape looks so serene and beautiful! There’s so much to see everywhere. I do hope you get to return and explore the provincial areas closer to your hosts. France is soooo pretty, love it. Hi Lorelle, Great post , what a beautiful place!! 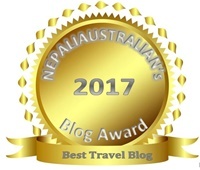 looking forward to reading your posts and am so glad to follow your blog! Yes indeed, same here !! Absolutely gorgeous! It’s been way too long since I visited France – must rectify that soon! Wow, such gorgeous colours and landscapes! 🙂 The French countryside always manages to surprise me, it’s just so charming. Love how rustic and tranquil the place is! Lovelyy !! France is sooo soo beautiful ! Loved this post! 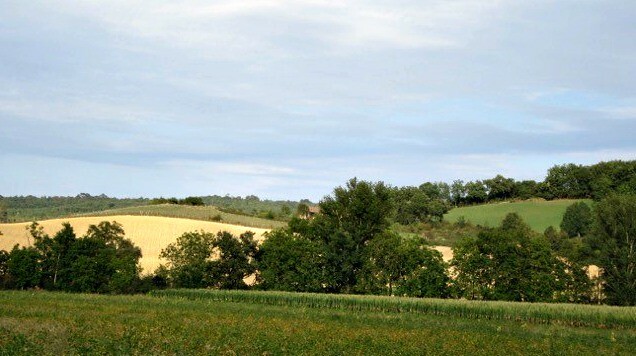 gets me so excited to hike the Camino de Santiago, while it will probably be next year before we go now, I know where I’m going to be returning to (your blog) for inspiration and stunning imagery of the French countryside. Thanks! Awwww. Thanks Gabe. Still more to come in Provence. We love France and we want to visit more of it. This place looks beautiful! Monique and Frédéric sound like amazing hosts! A home cooked meal and a generous spirit go a long way to making a trip even more special. The pictures are amazing. I want to go! Such a beautiful place! I wish I could visit in the future! What a gorgeous place to travel to! I had to google where this was, but I love that field of flowers. Looks gorgeous. Oh you are very close. So lucky. It takes me a full year to plan a Europe holiday like that being so far away in Australia. This place is magnificent! This hidden gem is so picturesque! When’s the best time of the year to visit it? Hi Agnes. Yes it really is. 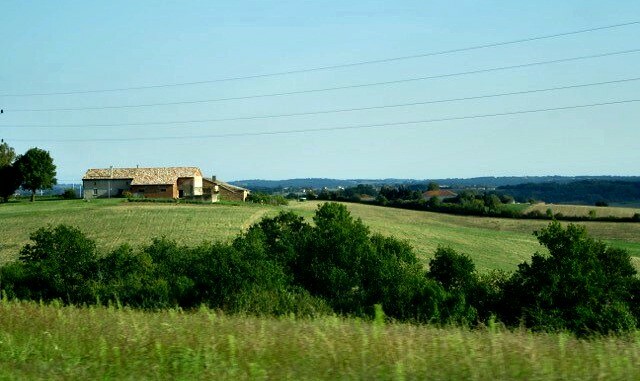 I love the French country side, there is so much to see. I loved travelling in September as the Summer crowds have slowed down, so for me, that’s the best time to go. But if you like the crowds, then July/August is a great time to visit too. I see what you mean about wanting to return. This little village and your accommodation look stunning. The hospitality is such a huge part, feeling like you’re amongst family in another country. France is beautiful. I hope you can return there. Yes. It would be very different indeed. Have you ever travelled to France before? I have never been to Costa Rica! No I have not, but it is definitely on my to do list! It looks like an amazing and beautiful place!